Mike Angelos is the REALTOR® you can trust when it comes to buying and selling real estate in Fresno, Clovis, and the surrounding areas in California’s Central Valley. Mike has raised his two children here in Fresno, and he is an active member of the community. In addition to his strong community connection, Mike knows real estate. He has personally invested in residential and commercial real estate for more than 20 years, and he’s been a real estate broker since 2002. Currently, Mike Angelos is a real estate broker-associate with Keller Williams Westland Realty in Fresno, California. His practice includes both residential and commercial real estate in Fresno, Clovis, and the surrounding area. Whether you’re buying or selling residential real estate, you can have complete peace of mind with Mike representing you and your interests. And if you’re dealing with commercial real estate, Mike can help you there, too. He also represents buyers, sellers, and tenants of commercial properties. Mike is proud to maintain his REALTOR® designation. He is a member of both the National Association of Realtors and the California Association of Realtors. 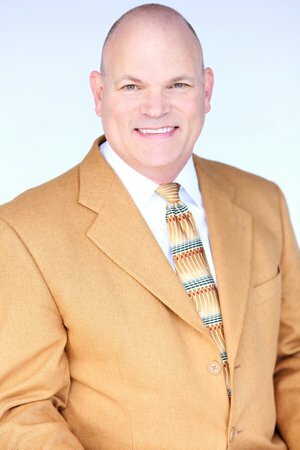 Although he has decades of real estate experience, Mike still participates in continuing education and training so he can help you with your real estate needs. Mike has been named a “Five Star Real Estate Agent” every year since 2011 by the largest and most widely published real estate agent award program in North America. Fewer than 2% of the real estate agents in the Fresno area receive this award. Additionally, Mike serves on the board of the USC Alumni Club of Central California. He has both Bachelor's and Master's degrees from the University of Southern California. Mike Angelos & Associates is happy to answer questions and give you any additional information you need! Call (559) 779-5550 or click here for a personal appointment. Recommendations and references are available upon request. You may not need help with real estate right now. We’re still happy that you found us, and we hope that you’ll keep us in mind and contact us when you are ready. If you know someone who is thinking of buying or selling a home in Fresno or Clovis, is interested in investment real estate, or needs a new space for their business, please give your friend our contact information so that we can offer our real estate services to help them as soon as possible. Contact Mike Angelos & Associates by calling (559) 779-5550. You may also click here for a personal appointment.